Can I reject a signed offer to purchase in favour of a higher offer? An offer to purchase is a legal document and, once signed by both the buyer and seller, it becomes a legally binding agreement. 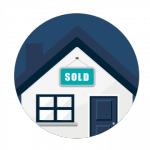 A seller may receive numerous offers to purchase on a property being sold and may select which to accept or reject. However, an offer to purchase is a legal document and once signed by both the buyer and seller, it becomes a legally binding agreement. As with any such contract, it is vital to scrutinise all the terms and conditions within the contract carefully to make sure everything is in order before signing. Once signed though, both the buyer and seller are bound by these terms and conditions, and are required by law to perform accordingly to meet their obligations based on this agreement. However, there are certain situations under which an offer to purchase may be cancelled after signing, and a new offer to purchase signed. One such situation is where the price of the property being sold is less than R250 000. In such property transactions, there is an automatic “cooling off” period that typically lasts five days. During this time, should either party to the agreement decide not to proceed with the sale for whatever reason, they may cancel the contract in writing with no further consequences. As such, should the seller decide that there is a more beneficial offer for the property, he may accept this alternative offer after cancelling the original. Another situation where a seller may cancel an offer to purchase in favor of another, is where this is allowed within the timeframe of and prior to a suspensive condition contained within the contract being fulfilled. This is also known as the continuing marketing clause. For example, should the sale of the property be dependent on the buyer obtaining the necessary finance from a financial institution within a specified period of time, this suspensive condition may also include a clause allowing the seller to accept an alternative offer and cancelling the current offer after giving due notice. This is to protect the seller from losing out on a sale while waiting for a potential buyer’s bond approval. This is only possible, however, where such a clause is included in writing in the signed offer to purchase. It is also worth noting that before accepting a new offer to purchase, a seller should confirm cancellation of the first signed offer to purchase in order to avoid any legal recourse due to breach of contract. #‎AskSnymans‬ your property-related legal questions on Facebook. There will always be elements in a property transaction that will be out of your control as the purchaser or seller, however some elements can be managed in a way as to avoid unnecessary delays. Marriage in or out of community of property? 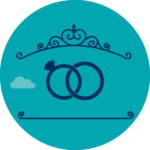 The marital regime selected at the time of entering into a marriage will have a significant impact on how ownership of property is dealt with within the marriage, which is why it is important to understand the different options available and select the one that best suits you. While the process for transferring ownership of immovable property remains largely the same in cases where one of the parties to the transfer is a minor, the minor’s contractual capacity must be carefully considered. The general sentiment is that a cash purchase is always a better option when buying property. However there are many factors to be considered before putting pen to paper. While a property seller is legally required to disclose any known defects of the property, what can a buyer expect when it comes to unusual characteristics, quirks or abnormal qualities? © Copyright 2015 Snymans Incorporated. All Rights Reserved.